The choice for post-graduate courses is much more limited for archives and records management compared to those available for libraries and information studies. The Society of Archivists recommends just six: University College London, University College Dublin, the University of Wales, Aberystwyth, and the Universities of Dundee, Liverpool and Glasgow. It is possible to study via a distance learning course and for details you should see the individual websites for these Universities. The courses have broadly the same options in order to be able to qualify but some offer more choices than others. The options that you choose will of course be determined by the University you select and also the kind of role you are looking for in your career. You have to think very carefully as to what you would want to do in your career. For example, it may be advisable to study modules on digitisation rather than Medieval Latin if you're planning on being on the cutting edge of Archives and Records Management. Consequently, you will need to have an idea about the modules in order to know which ones to pick. This is the advantage of gaining some good experience such as this traineeship. Not only are you learning about the career and seeing what you would like to do but also you will have to hand a variety of colleagues with a wealth of knowledge to draw on for advice. 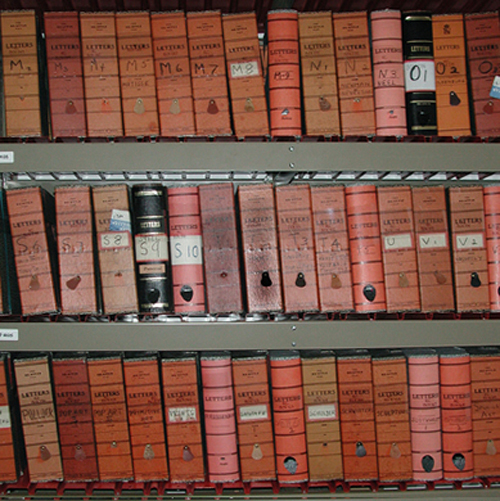 Generally, it is a requirement that you have had some kind of Archive experience before applying. The world of archivists is a similarly closed-knit one to libraries particularly because everyone knows each other through being on one or the other of the archive courses, and because everyone is chasing the same jobs. The archive courses have good employment rates but archivists, like librarians, should not be expecting to command high salaries - that is left to the record managers, and certainly a willingness to relocate will vastly increase your chances of employment. A good place to start looking for career information is the Society of Archivists website, especially as it provides a list of those University courses that it recommends. The University of Liverpool also provides a good introduction to Archival Awareness with lots of links. Learning more about FARMER (the Forum for Archives and Records Management Education and Research) will also help you to decide if a career in archives or records management is for you. Your career options after qualification are varied given the recent changes in the wake of the Freedom of Information Act (2000). As a result, many more institutions, businesses, etc. must now have a Records Management policy and there are now many more opportunities than ever before. One of the most important matters to consider when you are applying for a course is how you are going to fund it. Fees are usually set each year, and may vary with the institution, but you can expect to pay well over £3000 in tuition fees for an MA/MSc course. Many people now opt to study part-time while they work, and most institutions offer the chance to attend part-time. Whether you choose to attend full or part-time, you are eligible to apply for funding from the AHRC (Arts and Humanities Research Council). The AHRC is the main funding body for research and postgraduate study, and competition for awards is fierce. Success rates vary by subject panel and institution, and from year-to-year, but are usually around 30%. Detailed statistics of awards are available from the web site. There are two levels of award, so if you are unsuccessful in getting an award for your fees and living expenses, you may at least be awarded one for your fees. The process of applying to the AHRC can be very stressful. Applications must be received by the AHRC by early May, and institutions set internal deadlines much earlier than this, to allow time for all the necessary administrative work. These deadlines will usually be around February/March, so you will need to start the application process as early as possible. You will need two referees, at least one of them academic, and you will need to allow them plenty of time to write your references. Not everyone is eligible for an award - check the website or with your institution to see if you are eligible - so there are alternatives. Many institutions will have their own bursaries and awards which you may be able to apply for. If you don't mind taking on some debt, you can apply for a Career Development Loan, which can help to fund professional studies. If you are already working within the library and information sector, you may find that you can apply to your employer to have your fees paid.